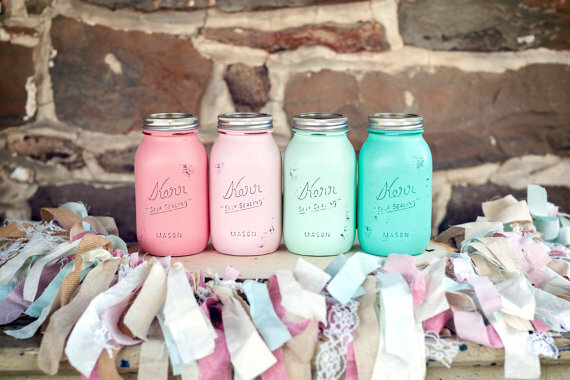 Mason jars have been a popular trend for weddings – and they’re not going anywhere anytime soon. 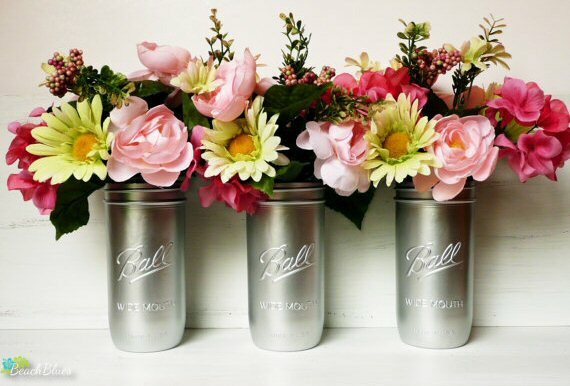 We’ve seen mason jar lanterns, mason jar centerpieces, and some of the best mason jar ideas of all time. 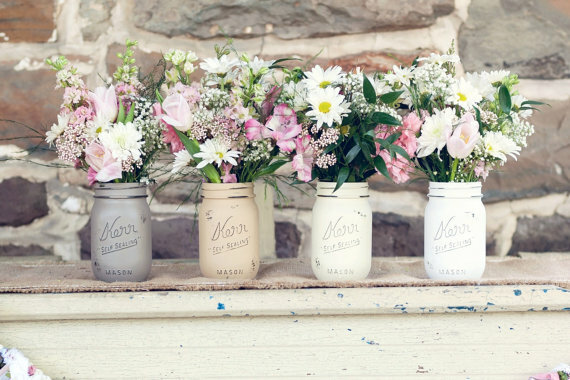 Today we’re sharing another twist: painted mason jars! 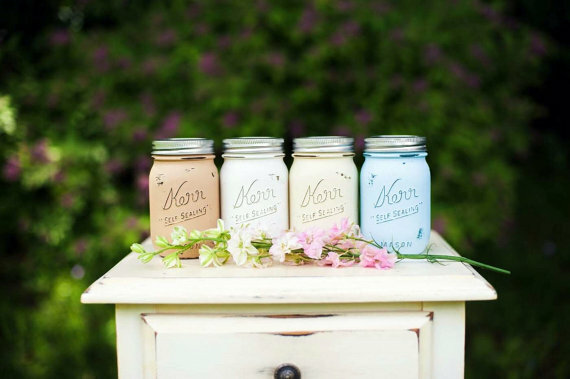 We’ve had the pleasure of getting to know Missy of Beach Blues, the leading expert of painted mason jars. 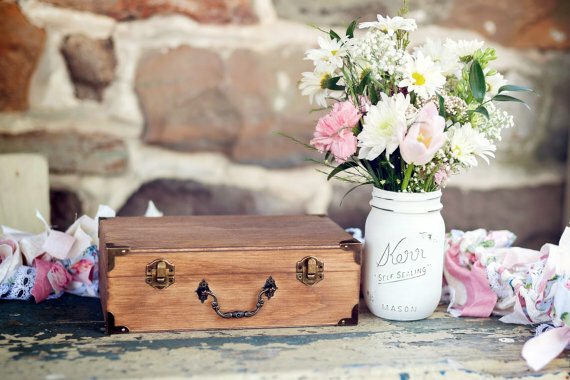 If you’re looking to add a shabby chic or vintage touch to your reception decor, her shop is the go-to place! 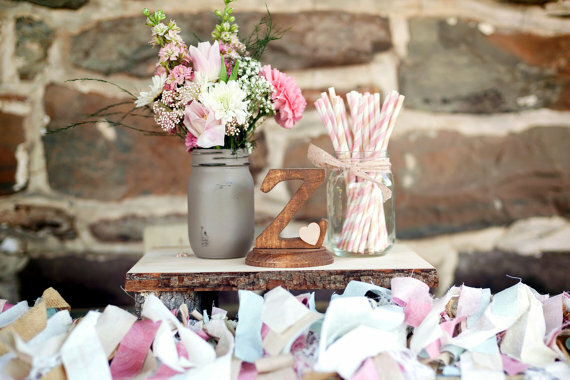 Read on to find out three ways to use painted mason jars in your wedding reception decor… and beyond! 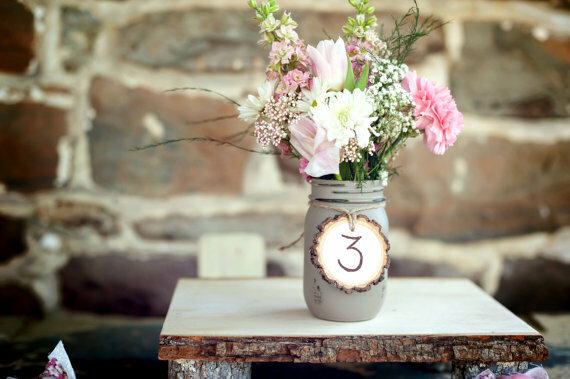 Use these jars to create a personalized vignette at your wedding, whether for your cake table, guest book table, or where wedding favors will be displayed. Here’s one look complete with wood monogram, tassel garland (by striped straws, and painted mason jar vase. Lovely! Crave metallics? 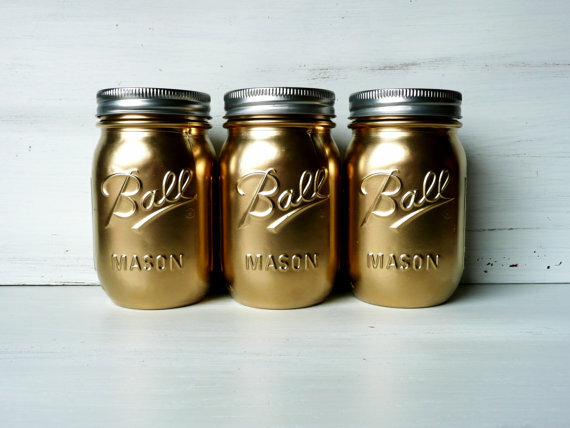 Missy also offers silver and gold painted mason jars. Entertain outdoors on Independence Day! 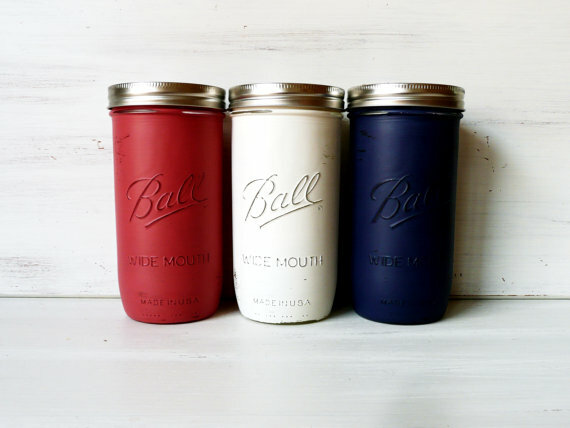 These mason jars are a great way to let freedom ring in red, white, and blue. We are proud to feature Beach Blues as a Featured Artisan at Emmaline Bride. Visit The Marketplace for more handmade wedding items + inspiration. P.S. Engaged? Love handmade? Get the book!